Neuropathy is a disorder of the nerves. It occurs when the nerves in the brain and spinal cord are damaged. It usual affects hands and feet causing a numbness or tingling or even pain. Neuropathy usually causes pain and numbness in your hands and feet. It is often described as a tingling or a burning sensation. Some people have a weakness in their arms and legs. Contact our office to schedule time with one of our doctors to discuss your treatment plan. 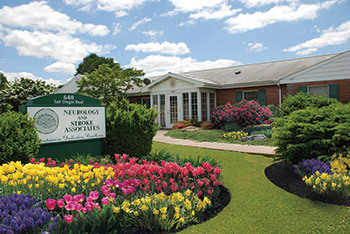 © 2019, Neurology & Stroke Associates, PC. All Rights Reserved. Website Design & Hosting By EZMarketing.